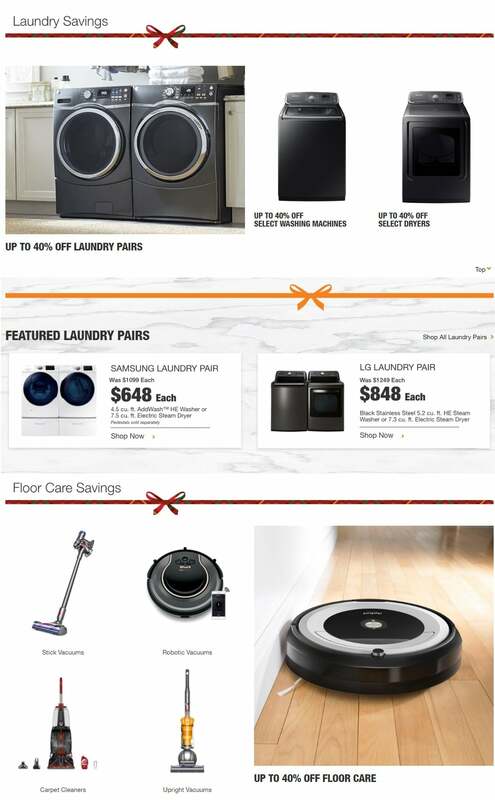 Check out Home Depot Black Friday Appliance Savings Ad for 2018 – savings available through November 29th – and save with this year Home Depot Black Friday promotions on Whirlpool 25 cu. ft. French Door Refrigerator in Fingerprint Resistant Stainless Steel, Samsung 27.8 cu. ft. Food Showcase 4-Door French Door Refrigerator in Stainless Steel, Frigidaire 21.9 cu. ft. French Door Refrigerator in Stainless Steel, Counter Depth, Whirlpool 19.7 cu. 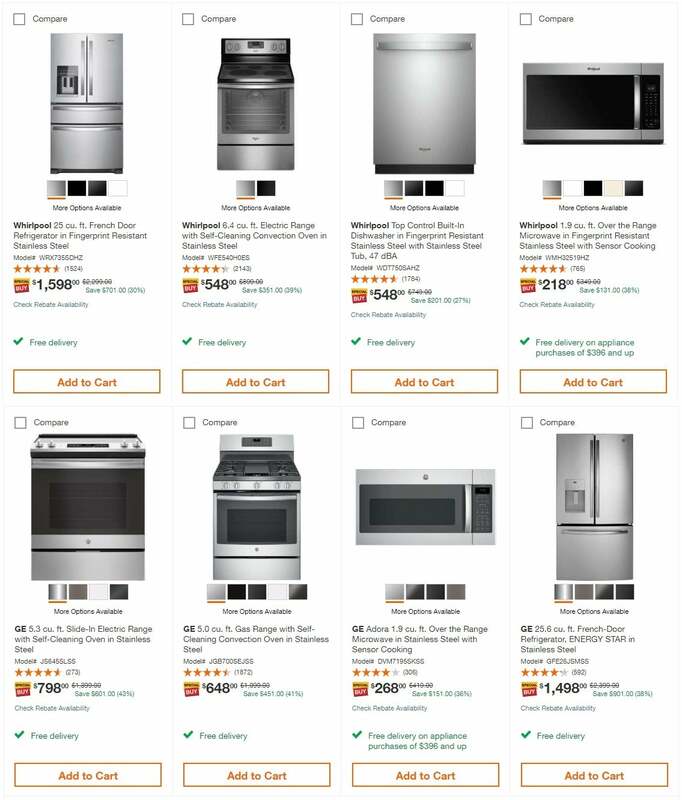 ft. French Door Refrigerator in Monochromatic Stainless Steel, Whirlpool Front Control Built-in Tall Tub Dishwasher in Monochromatic Stainless Steel with 1-Hour Wash Cycle, 55 dBA, Magic Chef 1.6 cu. 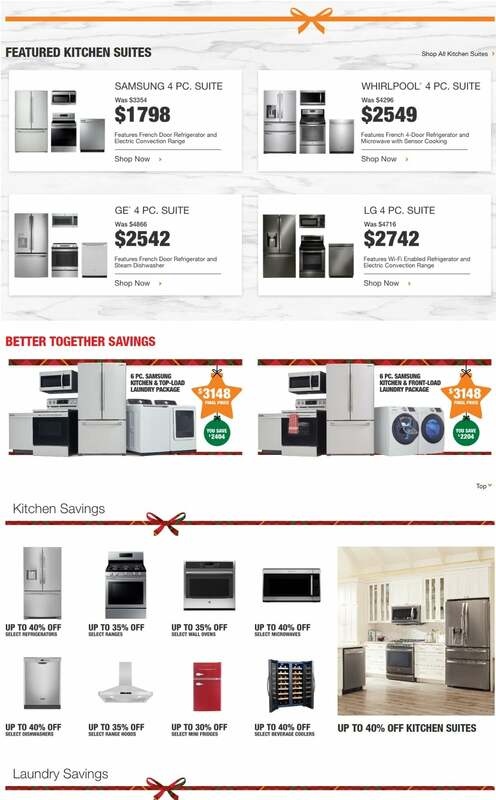 ft. Countertop Microwave in Stainless Steel and more. 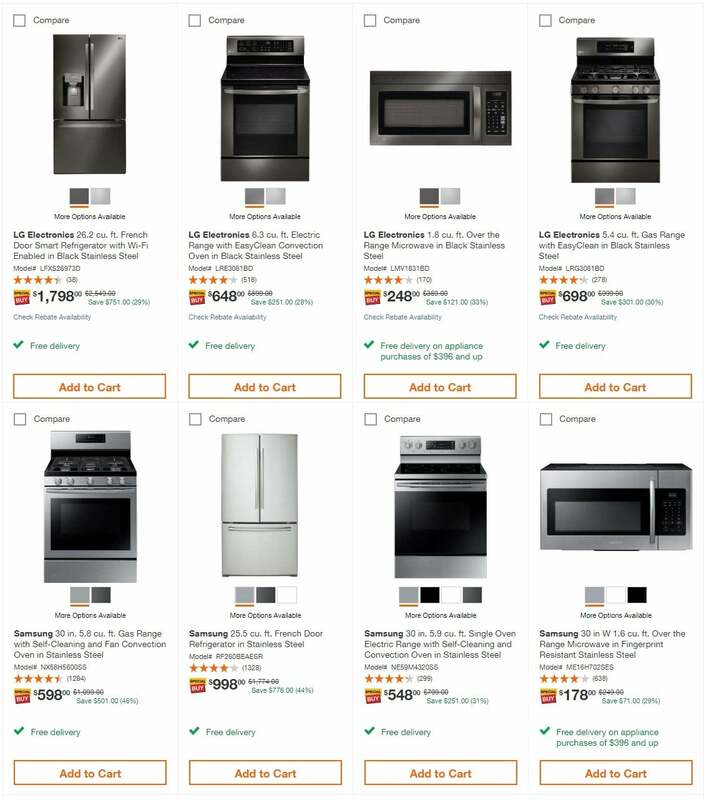 Don’t forget to check this year Home Depot Black Friday Appliance deals before heading out to shop.